Transitioning out of your training program is a complicated and lengthy procedure. In reality it starts with your graduation from medical school. 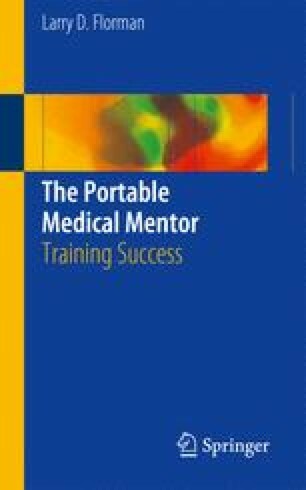 This chapter should be read and digested by not only the resident or fellow who is finishing his training but also those just beginning their training, as the preparation for this transition really began when you decided to become a doctor. This is, or will be, the culmination of everything that you have worked so hard for, and your every action should be directed to that day when you will assume the responsibility for making the medical decisions, for where you and your family will live, and precisely how you will want to practice your new skills. Many of the aspects in this decision-making process will evolve quite naturally and automatically as time goes on. Your goals may go through several changes as your ability and mind develops, and your needs change. This is a very healthy process. However, you must start preparing and positioning yourself very early on for the numerous life-changing events that are in store for you.